Continuous Form Laser Printers - EP Technology Inc.
Microplex continuous form laser printers excel at high volume printing with minimal cost or maintenance. 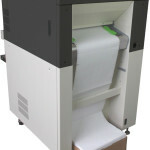 Low operating costs as well as the low cost price make this the most economic printer in it’s class. The Microplex Solid F155 pushes the envelope for speed, duty cycle and industrial production capabilities of a mid-range continuous form laser printer. The Solid F166 VS features both Flash Fusion and Variable Speed Print for versatility of print on various types of media at a PRICE that will SHOCK you! 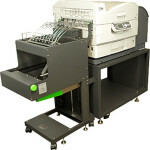 The Microplex Solid F34 is a versatile, easy-to-use continuous form laser printer. The F34 printer is a new generation print engine that offers a straight paper path for printing on a variety of different forms. A full Color, continuous form laser printer that allows you to produce very effective full Color laser printed output in-house giving you the control and versatility that you have been waiting for. 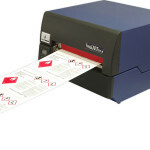 The Solid F44 is a versatile, easy-to-use, continuous form, monochrome, laser printer. The F60 Laser printer features Flash Fusion technology for all of your versatile media print needs. Also with a small footprint, to fit nicely into your production room environment. The Microplex F60HD laser printer features Flash Fusion technology that is capable of printing high definition images on a wide variety of specialty medias due to the lower temperatures used. The Microplex Solid F64 printer is a new generation print engine that offers a small footprint and provides the user with flexible media management capabilities.